33-year-old popular YouTuber and reality star, Stevie Ryan has committed suicide, the L.A. County Coroner's Office confirmed online just a few days after her grandfather died. 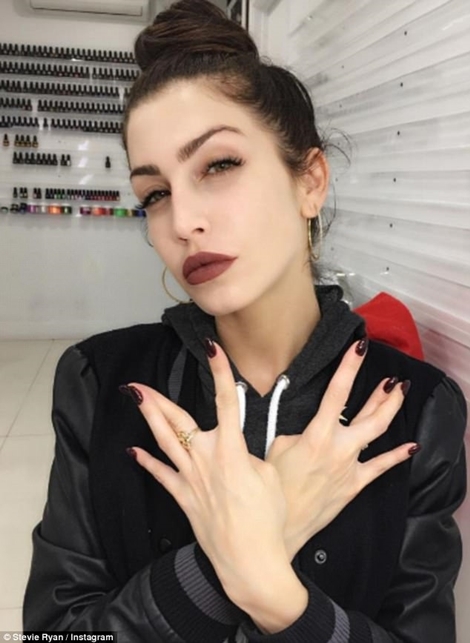 Popular American actress and YouTube star and TV host, Stevie Ryan, has died on Saturday in what the Los Angeles County coroner’s office has determined was a suicide by hanging. The body of Ryan, who had made her name on a YouTube series called “Little Loca” before appearing in the VH1 series “Stevie TV” and hosting an E! channel, was found in her home in the 1400 block of South Ogden Drive in the Mid-City area of Los Angeles. She recently hosted a podcast about depression. Coroner’s records showed an autopsy and investigation determined it was a death by hanging as a result of a suicide by the actress. The 33-year-old posted a tweet Friday about the recent death of her grandfather. “The man of my dreams will now only be in my dreams. I’ll miss you everyday, forever. I love you my Pa,” she wrote. She also mentioned her grandfather in a recent podcast, questioning whether his death could send her into a deeper depression. A native of Victorville, Ryan launched her Web career dabbling with a video camera and making posts on YouTube of herself portraying crazy characters. “Little Loca,” who Ryan said was inspired by "tough chicks" she knew growing up, became a YouTube hit. In a previous interview discussing the responses she receives for her video, she said: 'No matter who you are... You can be the most talented person in the world and you put anything on the Internet and all you're going to get is hateful responses. 'I didn't know that at the time. I don't think anyone knew that yet. I was like, "Oh hell no they didn't! These b***hes do not know what they just asked for!" Her final post to her 116,000 Twitter followers was a tribute to her grandfather who posed with a crass hand gesture as she plastered letters over the top of the shot. She penned: 'I'm definitely his granddaughter. Rest in Persebu my heart'. Ryan's budding career mirrored the path taken by some musicians. The popular band Fall Out Boy carefully cultivated an online following through YouTube and MySpace before signing with Universal Music Group's Island Def Jam.